Hey everyone. Happy Earth Day! Earth Day is one day a year designated to reminding everyone that we need to take care of our Earth. Have you ever heard of being green? This means that we need more green in this world by planting plants and trees. This Earth Day my friend and I got down into the dirt and planted ten different types of flowers, tomatoes, strawberries, basil, and peppers. 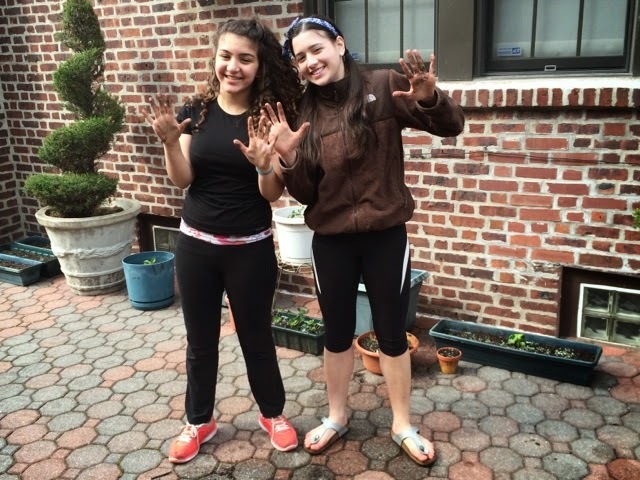 We used two whole 40-pound bags of soil into about 12 different types of pots. It was a lot of fun and now we hope everything grows! 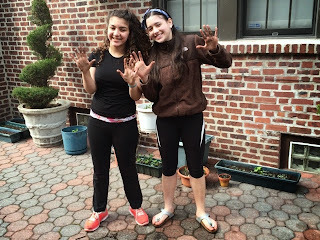 My friend, Emily, and I had a lot of fun even though it was really messy. 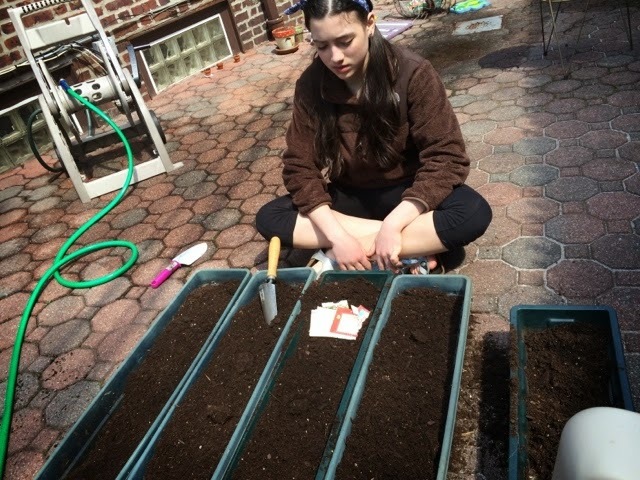 We used many different types of seeds and now we are hoping they will grow so her and I that I will have a pretty garden. 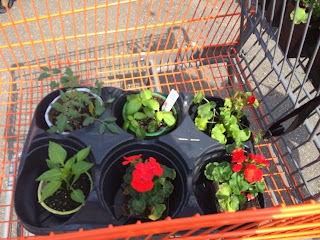 During our planting session, we took a trip to Home Depot to get flowers and some already grown plants that weren't seeds. We also had to buy a 40-pound bag of soil to keep planting with. We bought small plants so that we wouldn't be only dependent on seeds. 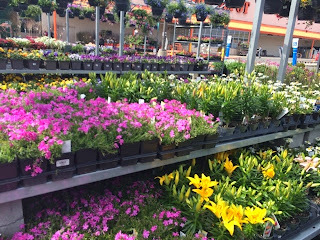 There were so many plants to choose from! 1. Turn off the lights when you leave a room. 2. 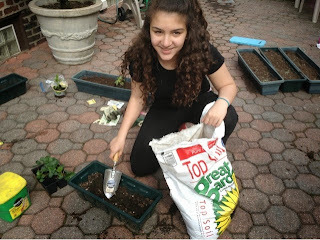 Grow a vegetable garden, it is good for the environment and even better since you are growing them yourself. 3. 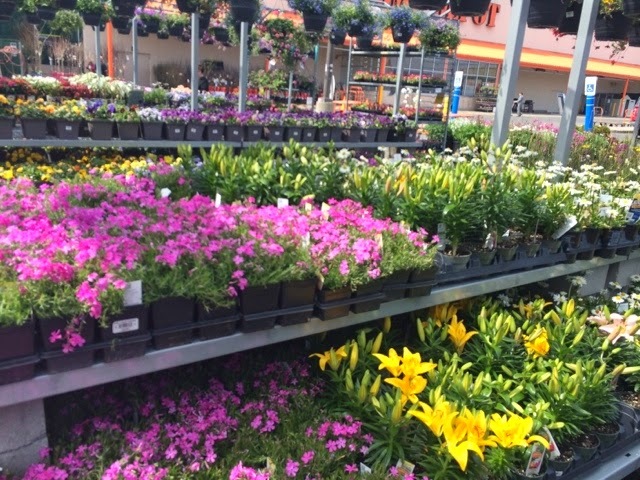 Use products that won't hurt the o-zone layer or plants. 5. Spend more time outside, it's better for your health. 6. Bring your own bag to the supermarket instead of using plastic bags. 7. Instead of taking the car everywhere, ride your bike, take public transportation, or carpool with your friends. This is a few of the pots from my new garden. In two of the pots are sunflowers, and butterfly attracting flowers. 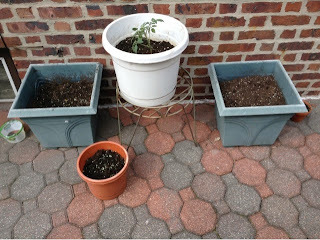 The pot in the center is a cherry tomato plant. 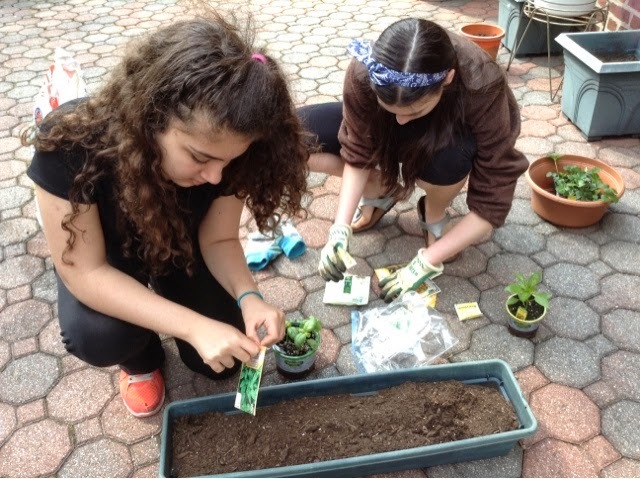 "Green thumbs, and black hands…"
What did you do for Earth Day? 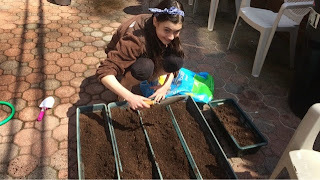 Starting a garden is a fun thing to do with friends and when everything grows you will have pretty flowers, and yummy vegetables.